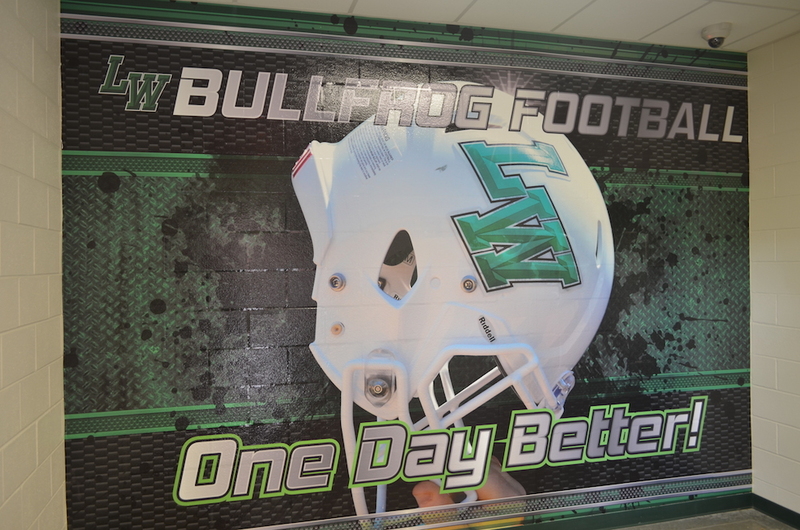 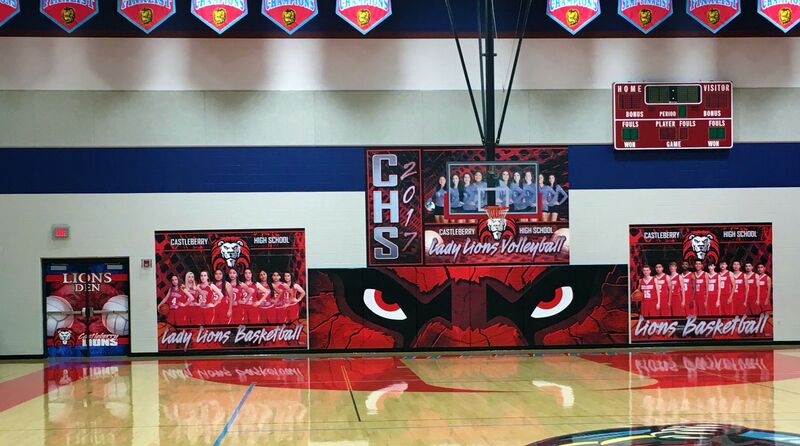 Wall Wraps make a BIG statement in a BIG way with larger than life sports graphics for your athletic facility or school. 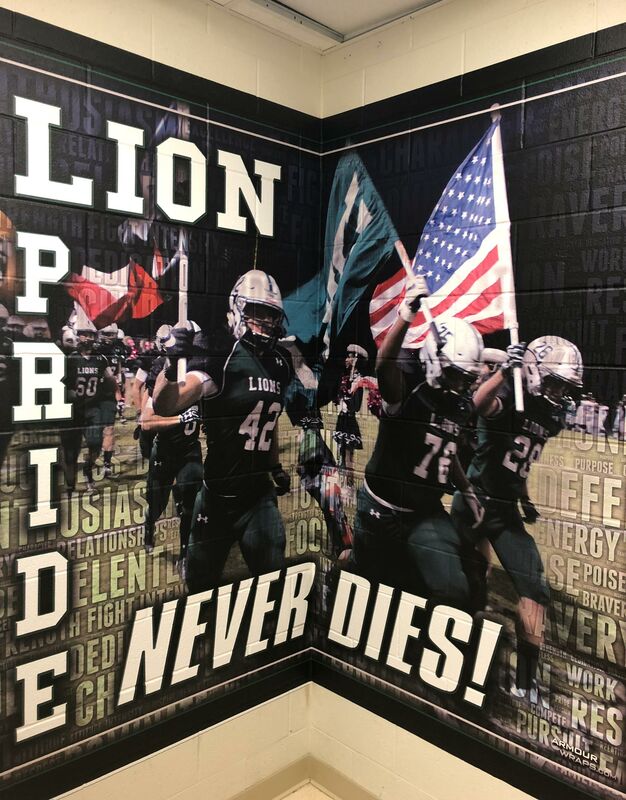 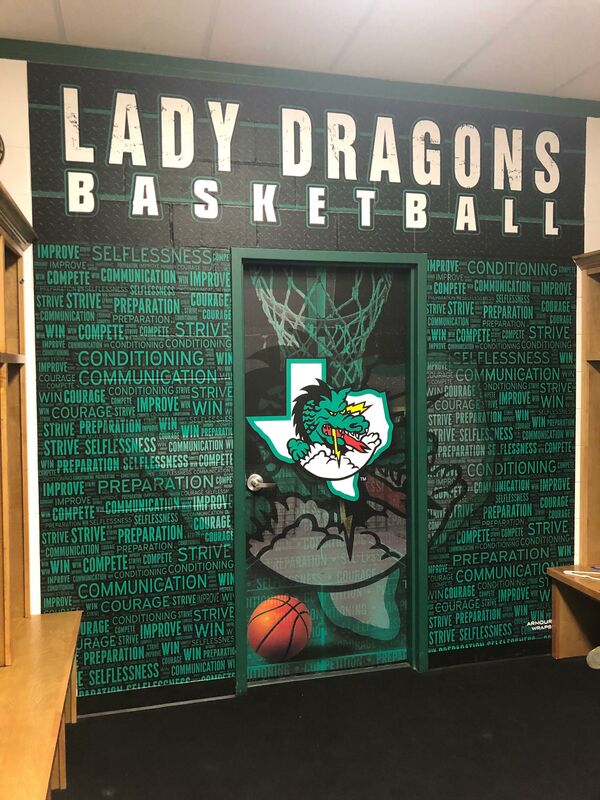 Our custom designed large format wall graphics a great way to add or enhance that professional look to athletic facilities, locker rooms, hallways, cafeterias as well as indoor practice facilities. 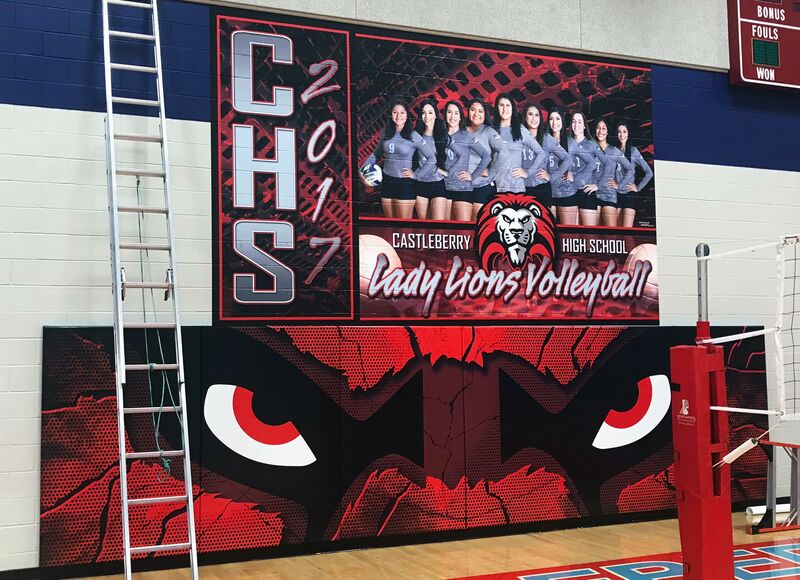 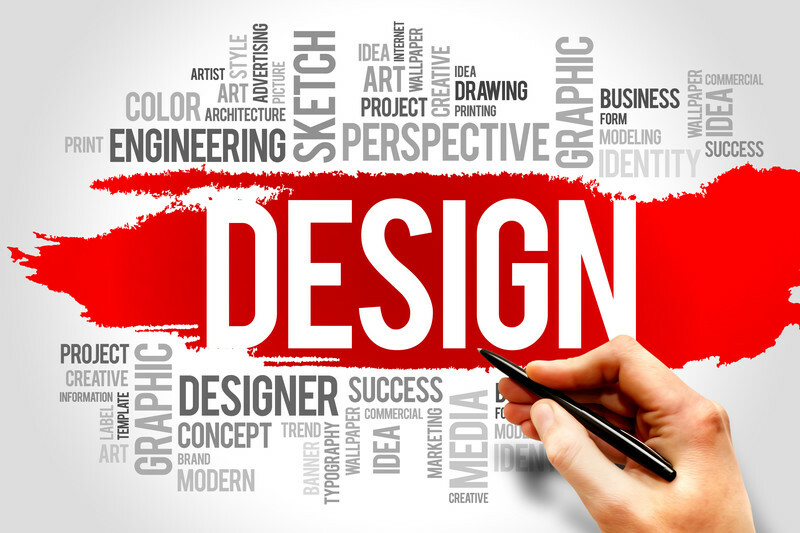 Our wall wraps are attention grabbing and demand people to look and look again! 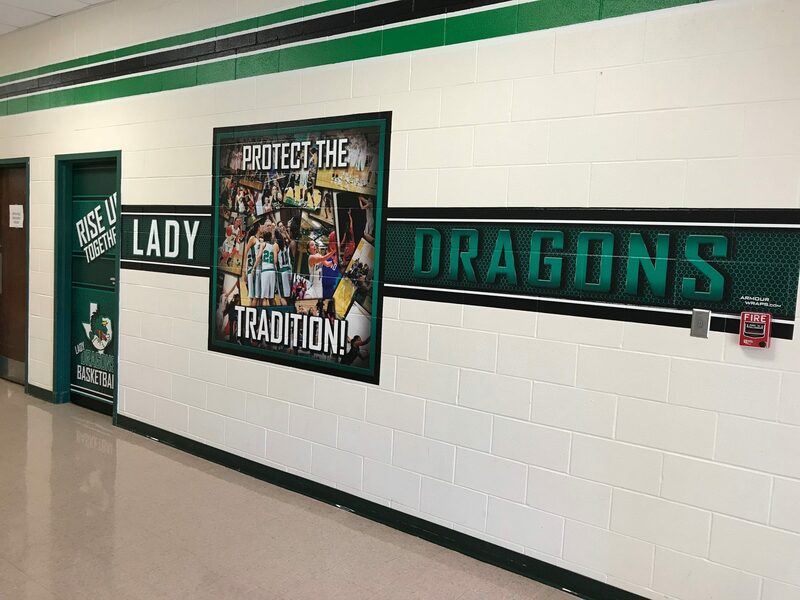 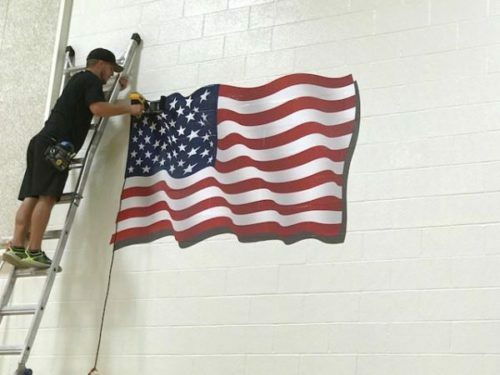 Large format wall graphics are a great way to spruce up boring hallways or unsightly walls while effectively branding your school and program. 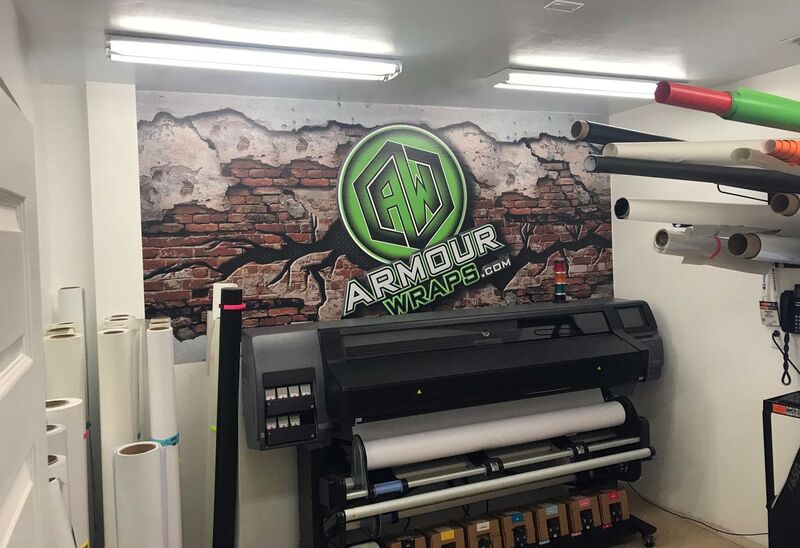 If you’re considering a wall wrap, contact Armour Wraps today and let our team take care of you. 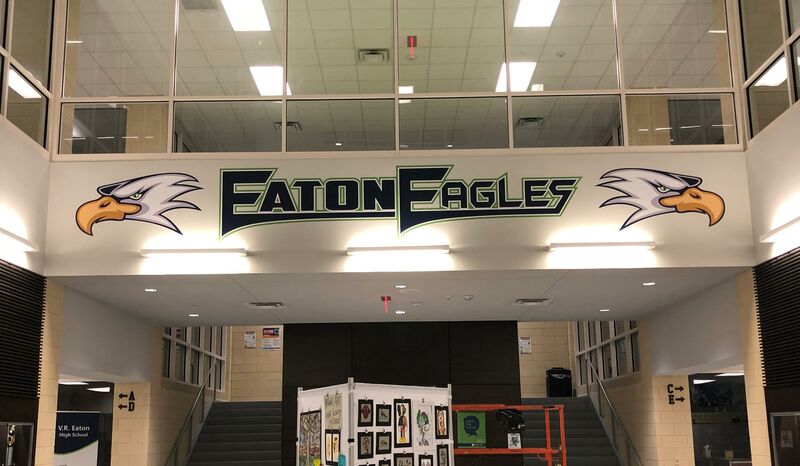 Copyright 2018 by Armour Wraps LLC.